Since I started blogging about skincare a few years ago, I’ve often harped on the importance of using a gentle, preferably low-pH cleanser. That’s because one of the biggest skincare mistakes I’ve made was using a harsh cleanser that disrupted my moisture barrier and stripped my skin of its natural defenses. The skin’s moisture barrier (a combination of lipids, fatty acids, and skin cells) that protects our skin from bacteria, prevents water loss, and defends our skin from environmental stress, is naturally slightly acidic, with a pH level of around pH 5. Using a highly alkaline cleanser strips the skin of its natural lipids and disrupts the moisture barrier, leaving skin vulnerable to infection (ie. acne bacteria), vulnerable to water loss, and more sensitive to stress and inflammation. I would highly suggest reading this post by Skin and Tonics, which first brought this issue to my attention. It used to be pretty hard to find a low-pH cleanser. There wasn’t a vibrant community on Instagram dedicated to testing the pH of cleansers, for instance, and pretty much everyone who wanted a low-pH cleanser bought the Cosrx Low-pH Gel Cleanser because it was one of the few affordable options out there. While the Cosrx is still a great option, I’m so glad there are a plethora of gentle cleansers on the market now. I tried Bioclarity’s 3-step system quite a while ago, and while they have repackaged their products in the meantime, their cleanser is still one of the most pleasant, mildly foaming gel cleansers I’ve used. My mother-in-law actually stole my first tube because it was so gentle on her very dry skin. This can only be purchased as part of the three-step system right now, but there is ALWAYS a 50% off your first order coupon somewhere, and $15 for all three products is a steal (just cancel the subscription before it renews). I just started using this powder cleanser (which is so convenient for traveling since it’s non liquid), and it lathers up into a rich foam with a little water. This had the lowest pH (most acidic) of all the cleansers I tested (though a lot depends on how much water is used to foam it up), which is ideal for acne-prone skin. Its star ingredient, beta-glucan, is excellent for moisturizing and reducing redness and irritation. I reviewed the Huxley Cleansing Gel here on the blog. This is a really lovely gel cleanser that creates a rich foam that leaves my skin feeling silky and hydrated. It has a lush floral smell that I personally love. This gentle cleanser has the most interesting texture. It’s described as a “honey-gel” and it’s a viscous, sticky gel. Once foamed up though, it feels deliciously silky and slippy on the skin, and leaves my skin feeling fresh and moisturized. The Indie Lee Rosehip Cleanser is one of my favorites, not just for its gentleness, but for the sheer delight of using it. Everything, from the scent, to the silky texture, to how smooth and gentle it feels on my skin, makes me enjoy using it. I highly recommend it. I sound like a broken record because I recommend this so often, but it’s so gentle, luxurious, and AFFORDABLE! This is the foaming cleanser for those who love a really rich foam, yet it’s one of the most gentle foaming cleansers I’ve ever tried. This post contains some links that are affiliate links. Buying a product through an affiliate link generates a small commission that helps support this blog, with no extra cost to you. I need to check these out, I’ve never tried any of them! Let me know if you do! I love all of these! Love this post Camilla! Usually I see the same low-pH cleansers recommended so it’s interesting to see ones that are brand new to me like the Earth’s Recipe Stemwater Cleanser. Using a low pH cleanser was one of the best changes I made for my skin as well, and it’s great to see more brands picking up on this! Will definitely add some of the cleansers you recommended to my wishlist for future purchases! I’ve had so much fun recently discovering all these super gentle cleansers! The Earth’s Recipe one is lovely, Jenny, I think you’d like it! I have drier skin, so this list is soo helpful for me. 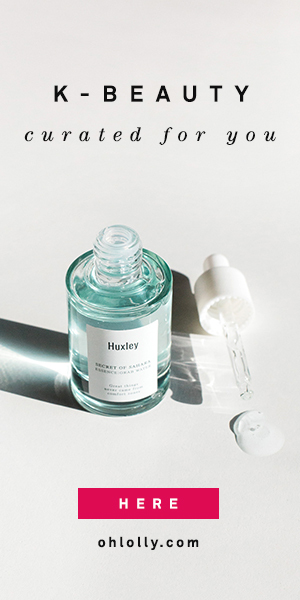 I’ve been wanting to try the Indie Lee Rosehip Cleanser for a while, but I might put that aside for the Huxley! I heard Amy Vagabond on YouTube recommend it (especially paired with her Clarisonic) and I’ve never tried anything from that line! The huxley is really lovely. If you’ve never tried anything by them I’d definitely recommend it! And it’s a good way to test out if you like that signature floral Huxley scent! Ahhh, I had no idea that the Hada Labo Tokyo Hydrating Cleanser was low ph. Had picked up one as a quick replacement cleanser before, definitely was a gentle one. Though I’m tempted try the enzyme powder one, haven’t used powder cleansers before and being low-ph definitely is a bonus. Great round up! Thanks Kevin! Yes it was one of the first gentle cleansers I fell in love with, and I love how affordable it is. I think it’s gentler than the Cosrx Low pH cleanser, for around the same price! I am guilty of not paying attention to the PH of my cleansers, to be honest. Thank you for the tips, I will keep them in mind next time I buy a new cleanser. I love the packaging of the cleansers you listed here! And I keep hearing about Hada Labo here and there but I haven’t tried it yet. I will definitely give it a try! Switching to low-pH made a big difference to my skin! Really helped treat the dehydration and tightness! Yes a low pH cleanser is such a game changer! I recently started using the Indie Lee one and agree that it’s so gentle. I’m pleasantly surprised to hear that the powder cleanser has a low pH! For some reason I always assume powder cleanser have a high pH/ are drying. The Huxley on looks lovely too and it seems like a good value as the bottle is large! I’ve been using the Huxley for ages and it shows no signs of being close to done. It’s concentrated so you just need a little! And yes the Indie Lee is SO lovely, I’m so sad I’m coming to the end of my bottle! I have been searching for second cleansers to be added into my routine so this post couldn’t be more perfect for me. I haven’t heard of the others other than Hada Labo cleanser but I can’t seems to find it on Amazon.ca. 🙁 What about Corsx Low pH Good Morning cleanser? What are your thoughts on it? Also I am currently trialling ShiSeido Benefiance Extra Creamy Cleanser and it feels soooooo good on my skin but I want to know if you have tested it and your thoughts on it? I’ve gone through one tube of the Cosrx gel cleanser and while it was fine, it wasn’t the most gentle I’ve tried (the Hada Labo Tokyo one was gentler and about the same price). The Indie Lee one is lovely, I think you’d like it!